Born in 1959, he studied at the Paris Conservatory (CNSMDP) where he earned two First Prizes in oboe and chamber music. He started his career as an orchestra musician (oboe, english horn) while beginning to compose music for the stage. In 1981, he founded the company Les Musicomediens, together with Maurice Jacquemont, then, in 1985, La Compagnie Fracasse, with Jean-Marie Lecoq. He composed the music for the following musical plays : « Le Roi cerf » (The King Stag -1984), « Le Capitaine Fracasse » (Capitan Fracasse – 1986), « Le Tour du Monde en 80 jours » (Around the world in 80 days – 1987), « Christophe Colomb » (Christopher Columbus – 1990), « Les Empires de la Lune » (Empires of the Moon – 1993), « Les Trois mousquetaires » (The Three musketeers – 1995), « Quichotte & Sancho » (1997), « Le Médaillon brisé » (The Broken medallion – 1998), « Amphitryon » (1998), « La Belle & la Bête » (The Beauty and the Beast – 2000), « Robin des Bois » (Robin Hood – 2001), « Le Pentathlon des Dieux » (The Pentathlon of the gods – 2003), « The Talking bird » (2004), « Hypocondriac 1er, roi de Neurasthénie » (Hypochondriac the first, king of Neurasthenia – 2008), « Le Don » (The Gift – 2008), « The Odyssey » (2011). Christophe Colomb earned the “1991 Moliere Award” for the best musical show. It was translated into English and performed in three American productions. Le Capitaine Fracasse was translated into German and performed throughout German speaking countries. In the television field, Louis Dunoyer de Segonzac composed or orchestrated music for more than thirty television films. 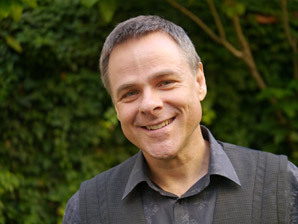 As music director, arranger and/or composer, he has collaborated with filmmakers such as Claude Chabrol, Laurent Heynemann, Christian de Chalonge, Denis Malleval, Gérard Jourd’hui, Jacques Santamaria, Philippe Monnier, Philippe Bérenger, Olivier Schatzky and Jean-Daniel Verhaeghe. He was music director for France Televisions’ series Chez Maupassant and Contes et nouvelles du XIXeme siecle (Tales and novels of the XIXth century). For his work as a composer, Louis Dunoyer de Segonzac was awarded the 1991 Maurice Yvain Prize. He is also a laureate of the composition competition Pro Lyrica and of the Beaumarchais Foundation. Louis Dunoyer de Segonzac is currently vice-president of the SACD (the french society of authors and theatrical composers) where he chairs the «Music» commission.